Originally from Boston, Kindbud first jumped onto the music scene while living in Barcelona, Spain from 2000 - 2008. It was there that Kindbud, along with two friends (Charles Hampton Brown and Howard Perry) formed the group East Coast Syndicate; Kindbud representing Boston, Brown hailing from New York, and Perry from Washington DC. 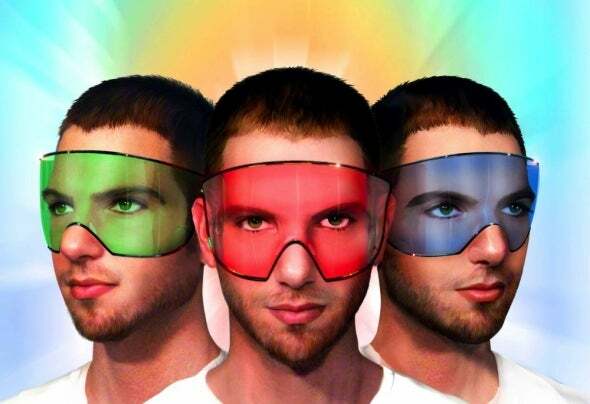 Originally a DJing trio, ECS was created on the streets of Barcelona in the Raval neighborhood while spinning at an outdoor market place during the Spring of 2004. Soon after realizing they were onto something big, ECS founded the invite only, underground party called Apartment 6. Located in the heart of the Raval in Brown's store front apartment,APT 6 soon became the hottest Saturday night private party in Barcelona and a staple late night spot for those in the know, hosting top international DJs such as Tres Manos, Pepe Tuccillo, Aquabassino, Steve Ferrand, An Der Beat, and many more. "with Apartment 6 we [ECS] managed to create a space where people could come together for the love of house music, at the time something we all felt was missing in the Barcelona night life." As the party took off, so did the musical creativity of ECS.Their good friend DJ/producer Pepe Tuccillo lived in the building located right next door to APT 6, and ECS soon found themselves many a late night in Tuccillo's studio writing lyrics and laying down vocals over his house beats. Upon Brown's encouragement, Kindbud entered Tuccillo's studio for the first time, and his first recording on the mic entitled "What You Want" became part of top Ibiza producer Cesar Demelero's upcoming album My Definition released in the Winter of 2006. Kindbud's second experience in Tuccillo's studio spawned what would become the opening track to Demelero's My Definition entitled "All Night Long." It was then that Kindbud truly realized his talent for singing/songwriting and decided to dedicate himself fully to his passion; music. "It just kind of hit me one day; not everybody can do what i can do. Sometimes it takes positive feedback to fully understand your talent." Not to have to rely on other producers all the time, Kindbud figured it was time to learn how to produce. As a guitar player, and having taken piano lessons as a child, under Tuccillo's wing Kindbud quickly picked up enough production skills to start producing his own tracks as well as future ECS tracks.￼￼￼Over the next 2 years Kindbud and ECS were DJing and performing live at some of Barcelona's most notable night clubs such as The Catwalk, City Hall, Shoko, Hotel Omm, Le Kasbah, and the DJ Magazine Awards. They released their first official single "Raval Raunch" on Metropol Cassagrande Records in the Spring of 2007, and later that Summer were featured on the track "Phuture Shock" produced by Tuccillo and DJ Pippi (Pacha Ibiza). Though things were going well professionally, Kindbud still thought something was missing in the Barcelona music scene. "I just felt like Barcelona served its purpose for me to grow into myself both personally and artistically.And if i wanted to continue growing, there was only one place i could go." In the winter of 2008, after spending the bulk of his 20s in Europe, Kindbud decided it was time for a change; New York City.